Demetrio Duarte, Jr. became licensed in the state of Texas in 1984. In 1991 he became board certified in criminal law. 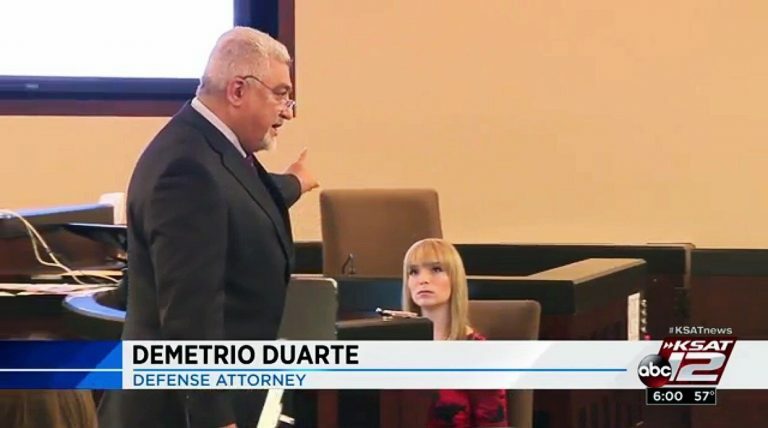 His 30 + years of legal experience includes over 200 jury trials to verdict in state and federal court, which is why he is proud to call himself a “trial attorney.” Duarte's courtroom experience includes additional trials to the court or non-jury trials and countless pre-trial hearings. In the past 30 years, Duarte has represented clients in the state of Florida, Tennessee, California, Maryland, Illinois, Ohio, Michigan, Mississippi and Virginia. His fluency in Spanish helps Duarte to assist many Spanish-speaking clients who find themselves needing legal representation. Prior to opening his own office, Duarte worked as a prosecutor with the Bexar County District Attorney’s office. It is this very experience, which has helped him see both sides of every case, and earn the respect of his prosecutor peers. Listed by the National Trial Lawyers as one of 2012, 2013, 2014, 2015, 2016, 2017 and 2018 Top 100 Trial Lawyers. Martindale-Hubbell Peer Review Rating. Currently Rated BV Distinguished (Very High Rating in Legal Ability and Ethical Standards). Listed in San Antonio Scene Magazine as one of San Antonio’s Top 30 DWI Attorneys in 2014, 2015, 2016 and 2018 issues. Listed as one of “SAN ANTONIO’S BEST ATTORNEYS” in Scene in SA Magazine, August 2005, August 2006, July 2009, June 2010, July 2011 June/July 2012, July 2013, July 2014, July 2015, July 2016 (Criminal Defense, DWI and White Collar Crime), July 2017 and 2018 issues polling San Antonio Attorneys to rate their peers. Jessica Lerma became licensed in the state of Texas in 2007.